At the age of eleven, Lindalee woke one morning determined to make pancakes for breakfast. Her light and fluffy flapjacks hinted at her life-long passion for food. Throughout her childhood, she’d watched her father in the kitchen while he cooked his special pot roast, made birthday cakes and prepared school lunches for her and her three siblings. Lindalee, who’d grown up in a somewhat turbulent household, could always count on the dinner hour to bring the family together. Eating and enjoying home-made meals at the dining room table meant love, caring and closeness. Many years later, these early connections with food became the inspiration for Lindalee McCandlis’s decision to create her cooking school, Pacific Culinary Studio, and her retail shop, Pacific Wine and Kitchen. Located in Everett, Washington, the studio and shop celebrates local artisans, the art of cooking and the pleasure of eating home-made and home-grown food. 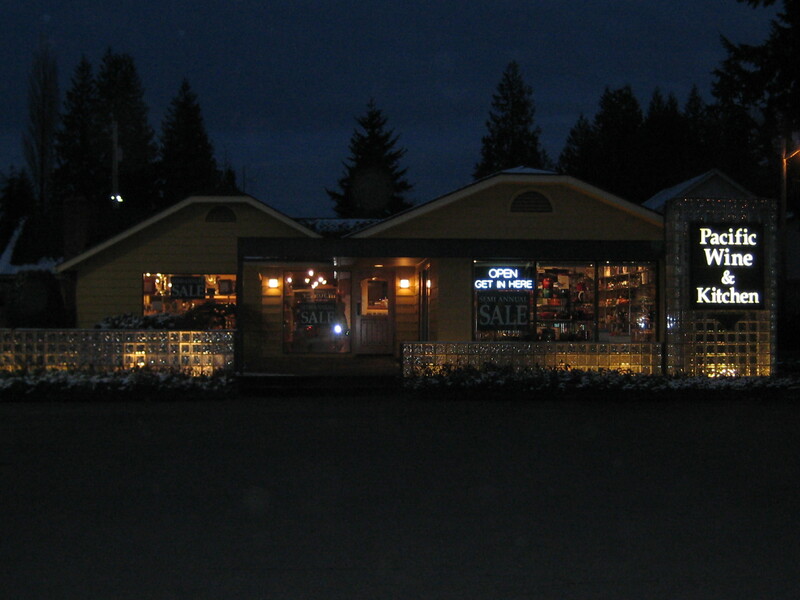 Owned by Lindalee and her husband, Dewey McCandlis, Pacific Culinary Studio is more than a demonstration kitchen and cooking school; it is part of Pacific Wine and Kitchen, a retail store offering wine and kitchen equipment. “In 2003, Dewey and I opened this business as an extension of our combined love of the food and wine culture,” said Lindalee. Sharing new ways to nurture family and friends, and inspiring people to gather together around the family table are at the core of their mission. I met Lindalee when I attended a cooking class at her studio last year. She introduced Leesa Sulivan, the guest chef for the evening. As if hosting a large dinner party, Lindalee made her guests feel comfortable as she turned the kitchen “stage” over to Leesa, and supported her by assisting when necessary, then plating and serving food to about 20 people. The classroom was set up with long tables set with water, napkins, silverware and recipe packets. The 12’ by 3’ granite kitchen counter provides a spacious work area. Two ovens, a gas range, large refrigerator plus every kitchen gadget you’d ever want made this a dream kitchen. The chef’s every move is reflected in a mirror hanging above the counter. When the studio kitchen is not used for classes, Lindalee frequently invites friends to make dinner together. The studio is also used for special events such as corporate team building, DVD production (culinary videos) , bridal showers or book clubs. At an early age, Lindalee discovered her interest in food and cooking, but I wanted to know how she had acquired her expertise as a chef and cooking instructor. Lindalee’s passion for cooking is evident when you see her shop, Pacific Wine and Kitchen. The shop is not only well-stocked with kitchen gadgets, beautiful pottery, pots, pans, knives, linens and gourmet food items, it is well organized too. Lindalee’s knowledge adds to the shopping experience. Lindalee has an intuitive understanding for a cook’s needs and can share experience about cooking and entertaining. 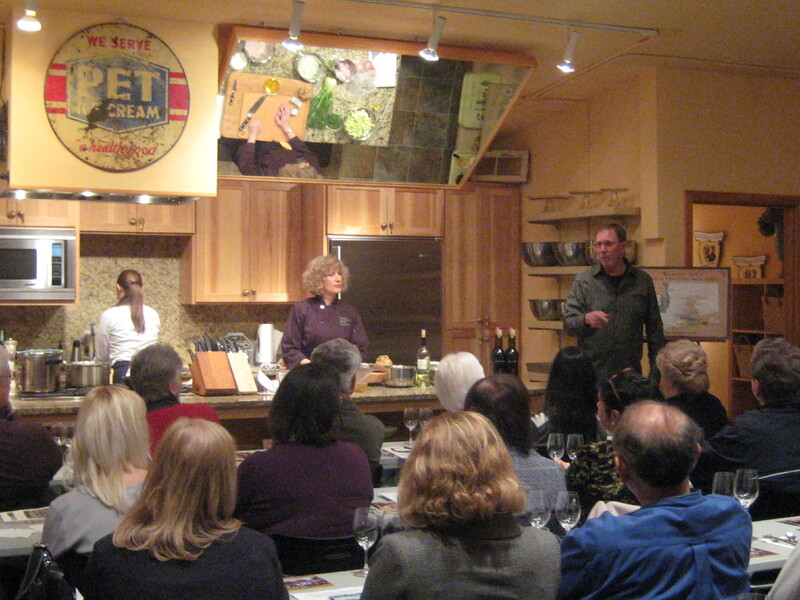 Recently, I taught a class at Pacific Culinary Studio. The dessert I had made for class was topped with whipped cream made with a Whipped Cream Charger. It was fun to swirl cream on each plate, I knew I’d have to have one at home. After class, I made a bee-line to the shop to get one for my kitchen. If you love food, wine, cooking or know someone who does, I encourage you to visit Pacific Wine and Kitchen. This is one of the best shops in the Everett area for food and wine aficionados. You can also sign up for a cooking class in June. 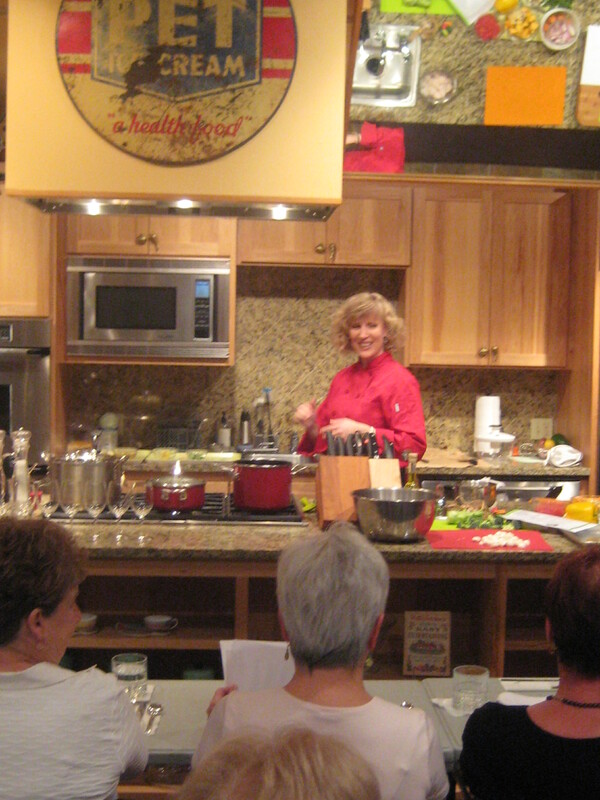 Lindalee is teaching “Fresh, No Stress Entertaining,” and Rachel Duboff presents “The Italian Grill – Hands On”. Check out the full schedule here. I think you will agree that Lindalee and Dewey, are accomplishing their goal – sharing exciting new ideas and inspiring us to discover the joy food can bring to our friends and family. See where pancakes can lead.